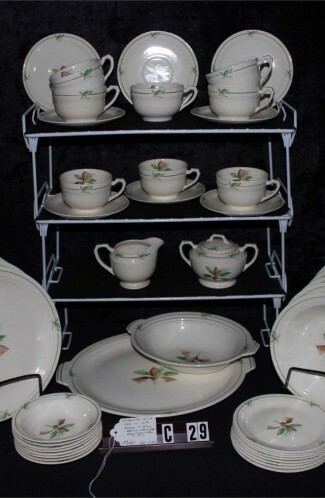 Vintage - Noritake (Progression) China, with the "Sunny Hill #903 Pattern, Produced in 1966 through 1968 only. 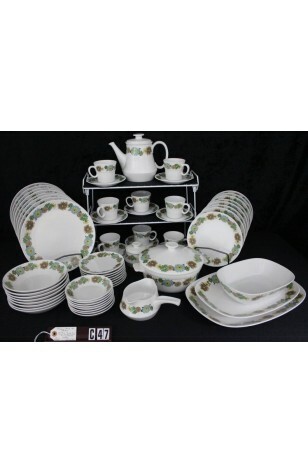 Total of (66) Pieces, a Full Service for (8) Eight, PLUS numerous Serving Pieces. This gorgeous Sunny Hill #903 Pattern has a White Background with Beautiful Flowers in shades of Blue, Green, Brown, Beige and Yellow. 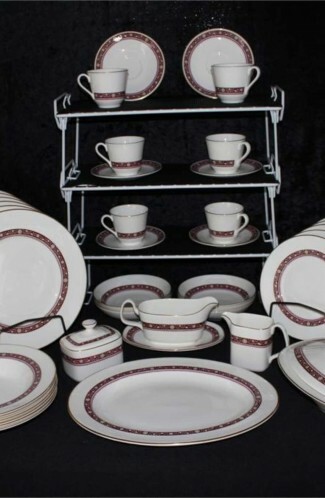 It is a Casual Dining Set, But would really bring life to a white table. 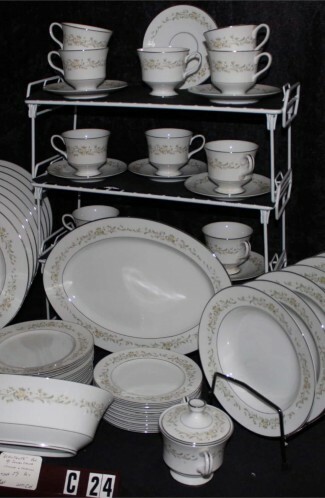 8 - Saucers - 6 1/8"
8 - Bread & Butter Plates - 6 1/4"
8 - Salad Plates - 8 1/4"
8 - Dinner Plates - 10 3/8"
8 - Soup/Cereal Bowls - 7 1/2"
8 - Fruit/Dessert/Sauce Bowls - 5 5/8"